A light layer for easy coverage on your way to spin class. 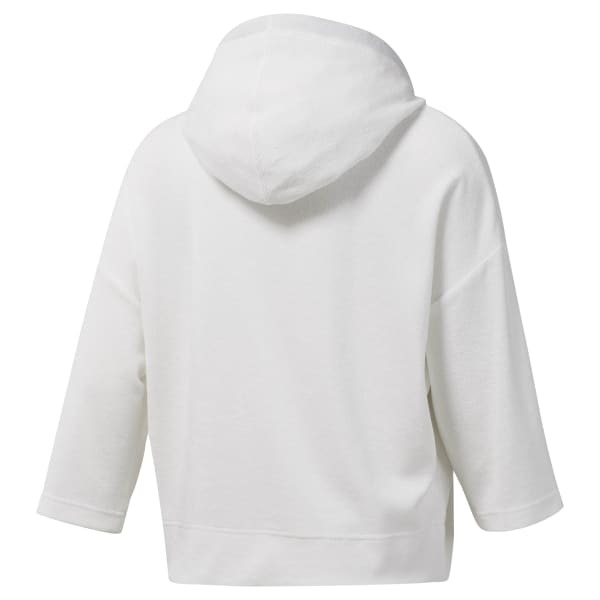 This women's hoodie is made of cotton-blend terry. It's cut with three-quarter sleeves and shows off a Reebok-print on the wide drawcords. The relaxed fit lets you move with ease through your active day.